If you are not satisfied with your purchase, you can return most items in their original and unworn condition within 14 days for a refund or exchange. (Shipping and handling fees are not refunded). Items received after 14 days from date of receipt will not be accepted. Items noted as special order must be sent back within 5 days. Final sale and/or Final-Sale items cannot be returned or exchanged. Additional exchange or re-stocking fees may apply. Refunds are processed within 15 business days of receipt. If you need to return or exchange an item, please contact us. Repack the item in the original packing materials and send it in a PROTECTIVE package. We are unable to issue refunds for items lost or damaged due to unsecure packaging. Important: some items consist of several parts or pieces. Always return the entire item or set for a replacement or refund. This is particularly true for wedding ring sets (you must return both/all rings from the set, or we cannot accept your return or exchange request), and jewelry sets of necklaces and earrings. 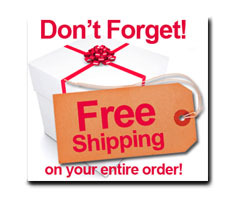 Ship the package insured and prepaid via Mail, UPS, or Fedex. Save your shipping receipt until you receive your refund or replacement. If your package is not insured and you do not have proof of shipment, we will not be able to issue refund for packages lost in transit. If the item is a gift it is important that the order number be written on the return slip. As with any purchase, the gift recipient may exchange the item or elect to receive a gift certificate instead of a refund. Exchanges received after 14 days will be handled on an individual, case-by-case basis and may require additional fees. Please be careful: You should NOT write "jewelry", or other jewelry-related words anywhere on the package as this invites possible theft. Please do NOT mail back any incorrect, damaged, or defective items without advance confirmation from us. This is very important! Thank you again for shopping with PERFECT JEWELRY! We make every effort to provide you with a flawless experience, and we sincerely apologize for any errors. We will make every effort to resolve your order problems in an efficient and economical manner with minimal hassle on your end! We're confident that Perfect Jewelry's fine and faux jewelry will meet, if not exceed, your expectations. You can return most items to us within fourteen (14) days of the shipping date for the full purchase price, minus shipping and handling fees. Items that have been worn, damaged, and/or altered will not be refunded or exchanged. Items noted as special order must be sent back within 5 days. Final sale and/or Final-Sale items cannot be returned or exchanged. Additional exchange or re-stocking fees may apply.